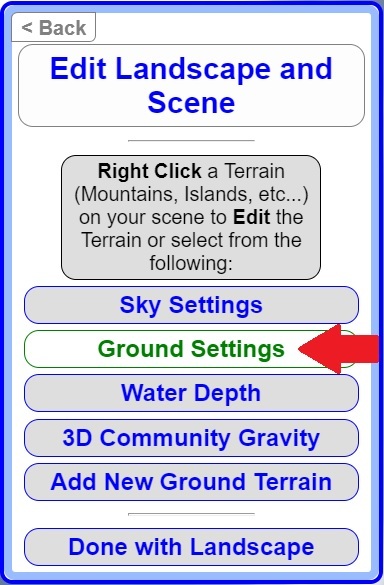 Ground Settings refer to the extended ground that you see all of the way to the horizon. 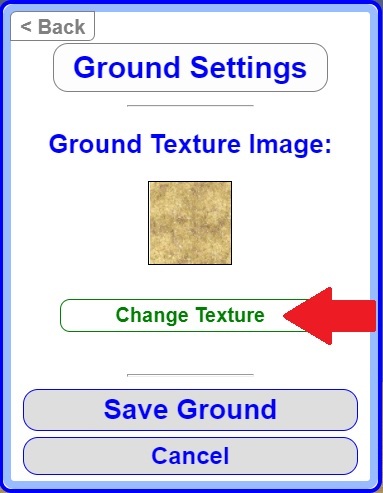 Click Change Texture to select or upload a new ground texture image. (you can pick any you like). For the demo I chose grass.png from the Stock Images. 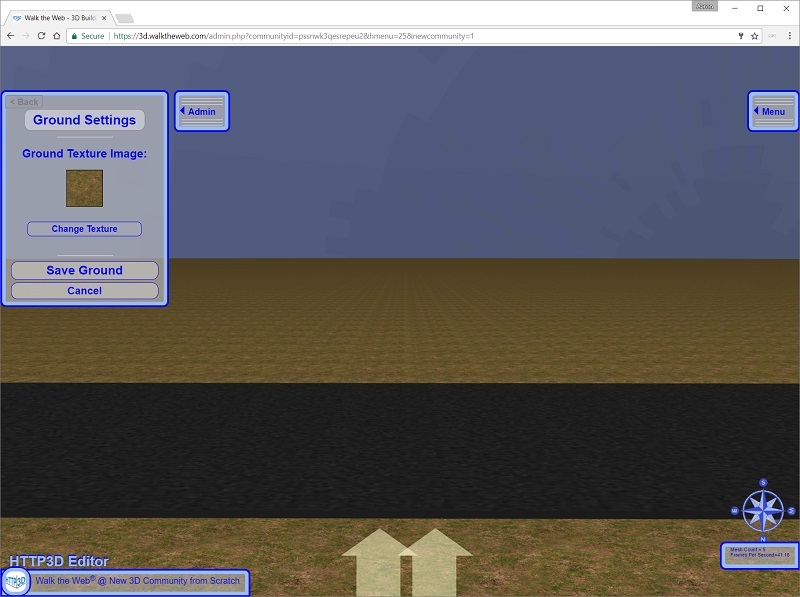 The Extended Ground will then display the new texture.